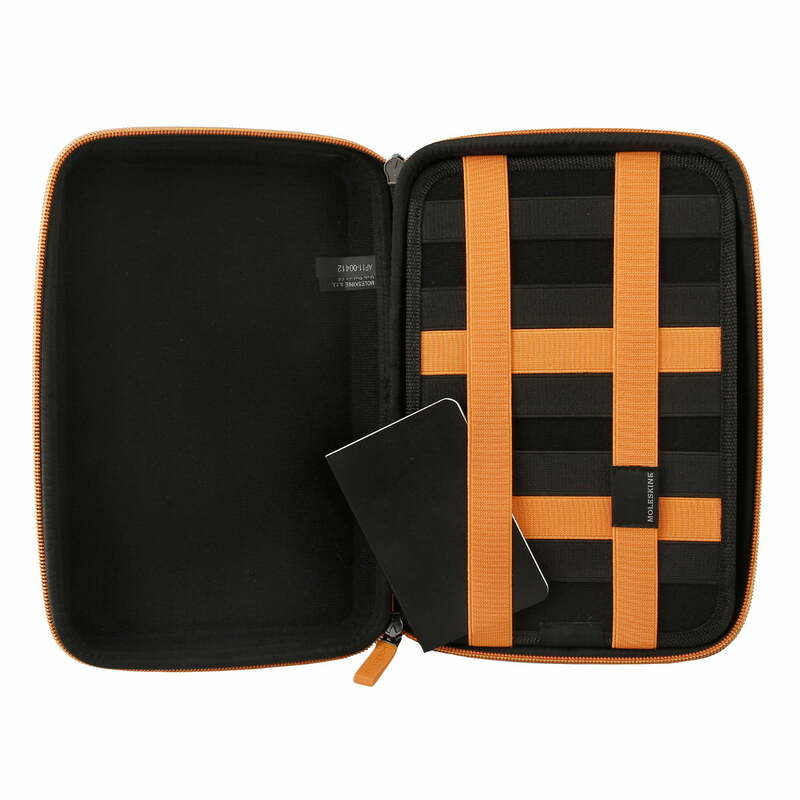 The XS size Shell is a practical companion from the Travelling collection by Moleskine. 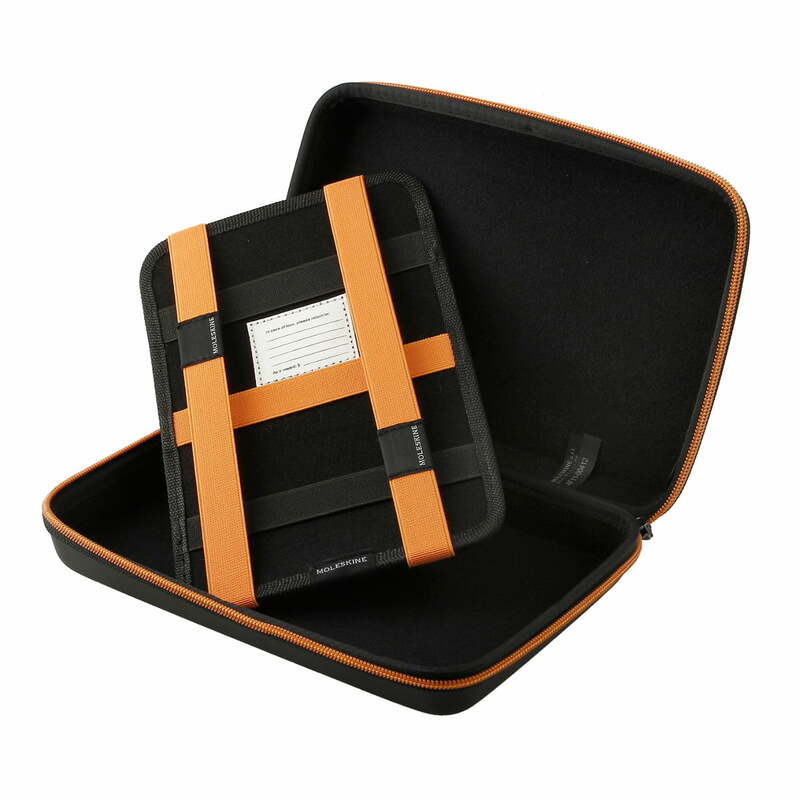 It has an integrated, elastic loop for key rings, but it is also suitable for visiting cards, coins or other small accessories. 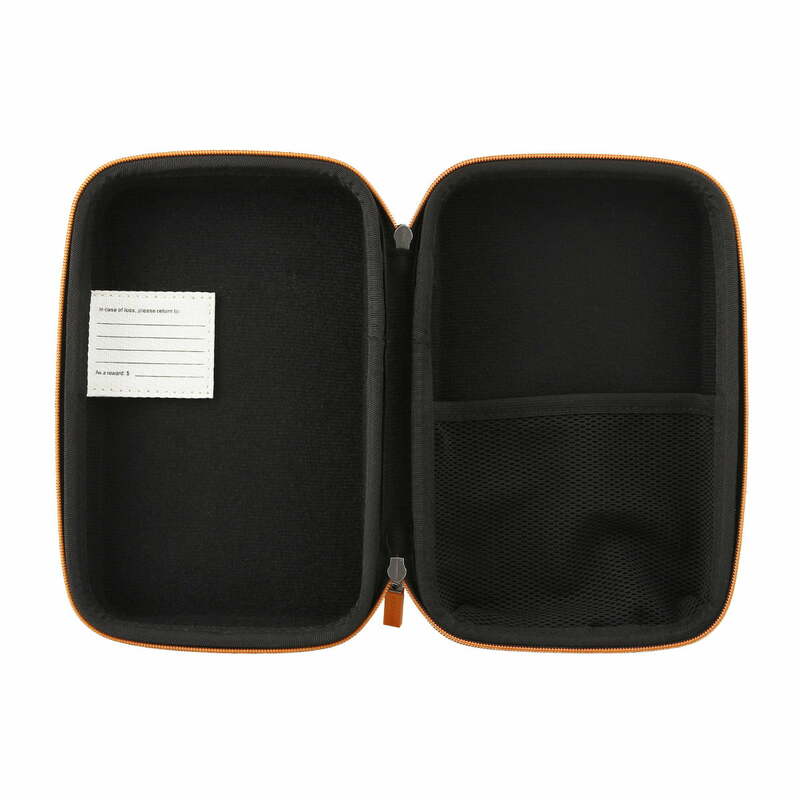 The Moleskine cover is water-repellent and can be closed by a zipper. 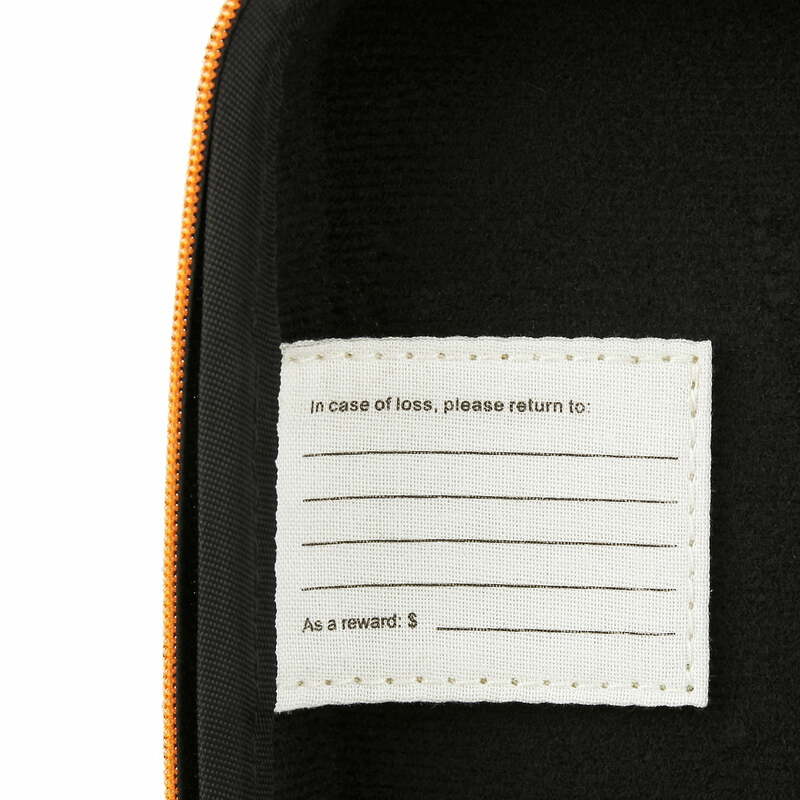 The inside is lined with black snare fabric. 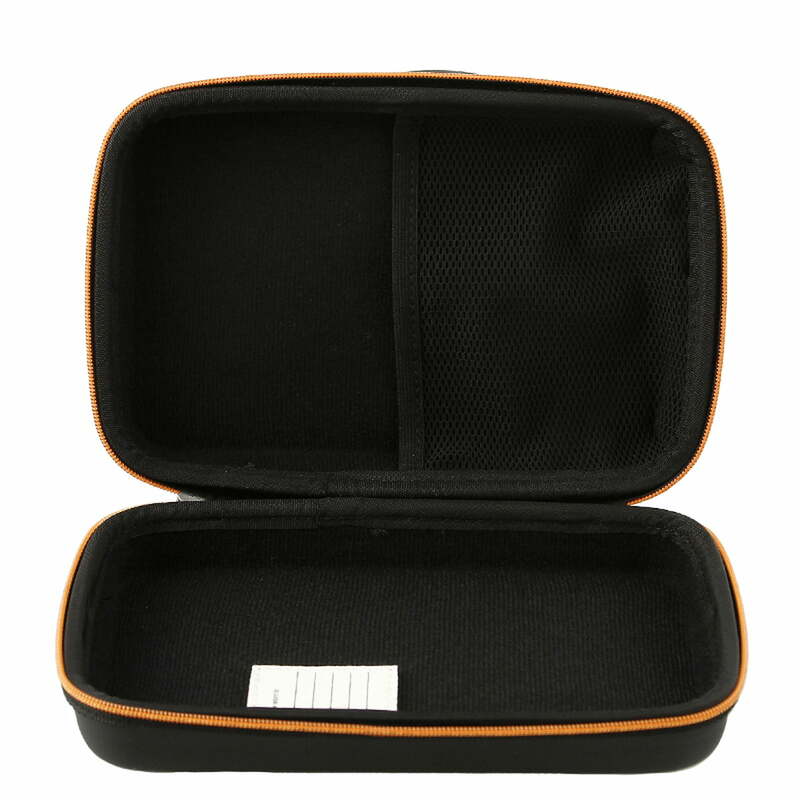 A key ring loop, a rubber band and a flexible inner pocket to store small objects round off the versatility of the small case. 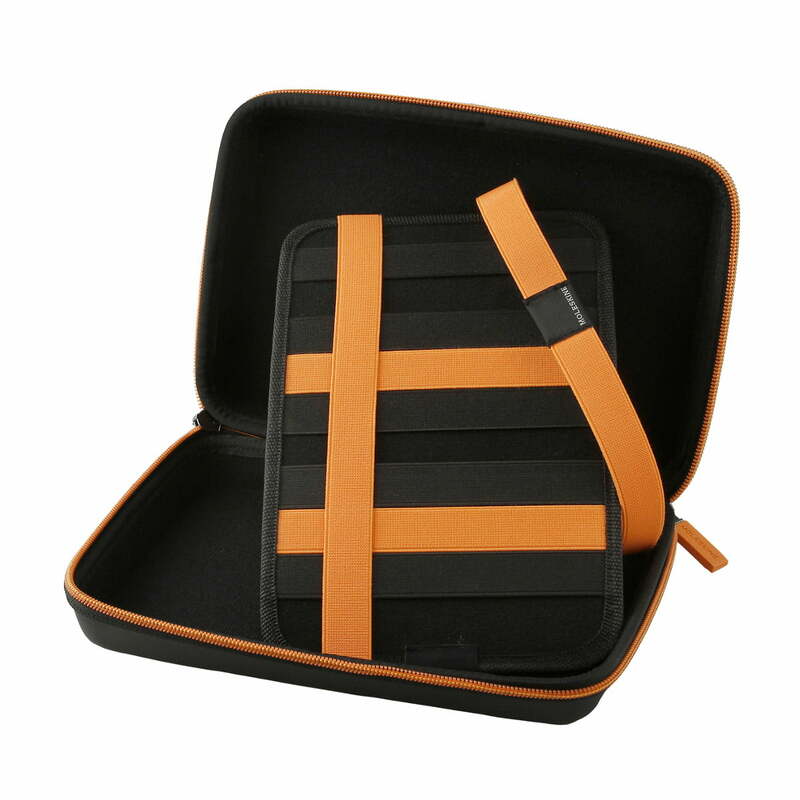 The resistant and weightless shell out of high quality EVA plastic fits in every pocket and can be fixed to pocket straps or waist belts. 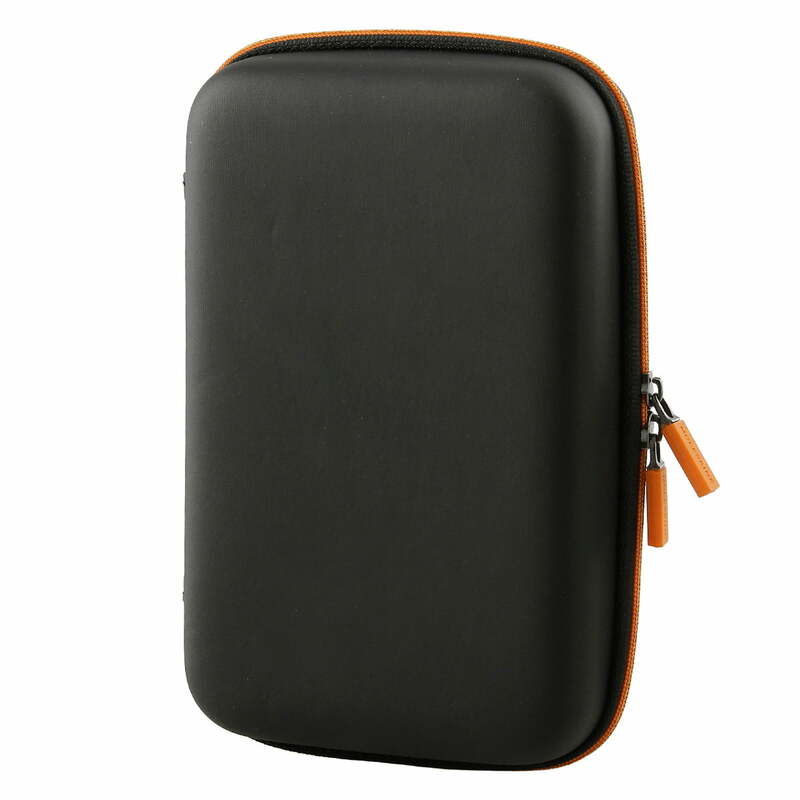 It offers discreet colour to your bag in black with an orange zip.